When you do not qualify for a work visa and / or work permit (permanent residency), or even dislike the idea of immigrating to South Africa without the reassurance of a permanent stay, it may be worth you considering a Financially Independent permit. Let us state from the outside that whilst there are some significant benefits to obtaining a Financially Independent permit, as opposed to a work visa, it is aimed at high net worth individuals. Below we take you through some of the criteria, advantages and ‘deemed’ disadvantages. What is a Financially Independent permit? In essence it can be described as permanent residency based upon an applicants net worth. Permanent residency allows you to enter South Africa and stay. Most importantly it allows you to carry out any economic activity you may wish to. This includes work, run a business or retire. What do we mean by high net worth? The high net worth is the basis of the qualifying criteria. It equates to the amount of net worth an applicant can prove and is calculated by assets minus debts. In this case, applicants need to demonstrate a net worth of R12 million rand. This R12 million need not be brought into South Africa and can remain ‘offshore’ in any jurisdiction of you choosing. If this is the case an application can be made for a Financially Independent permit. What are the advantages of a Financially Independent permit? You may not qualify for any other type of work permit and this provides you with another option. Some work visas do not lead to permanent residency so you are unable to ever obtain the right to permanently reside in South Africa. 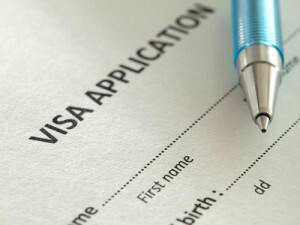 Many work visa’s carry with them a number of constraints such as you cannot move employer which may not appeal. Most work visa’s only allow you to work for a specific employer in a specific role for specific period of time. Where a job offer is required to obtain work visa this can prove difficult as many employers are reluctant to wait for the processing of such or sign associated guarantees. The application process for a work visa can be long and frustrating. A Financially Independent permit does not require you have a job offer, it does not restrict you to one employer or one role, there is no ongoing criteria to fill and its gives you permanent residency status straight away upon issue. In short, a Financially Independent permit is much less complex and much more flexible than a work visa. Apart form the obvious high net worth criteria that must be filled the other deemed downside is the Department of Home Affairs fees. There is an extra costs, we stress payable to the Department of R120,000 upon your permit being granted. Freedom to apply for any job you desire without the baggage of needing a work visa. Freedom to move jobs whenever you so desire. Freedom to move roles within your company. The security of permanent residency from the day your permit is granted. The ability for relatives to join you such as parents and children. A much easier application process. Whilst not for everyone seeking to work in South Africa, the Financially Independent permit is a very imperious option to consider. With over 9 years experience and a track record of thousands of successful applications, Intergate as South Africa’s largest independent Immigration Company is well placed to give you all the right information you need to make an informed decision.